Angeleno Heights, widely known for its ornate Victorians on Carroll Avenue, has some competition this week. A Craftsman Bungalow — modest at under 1,500 square feet and 2 bedrooms, 1.5 baths — packs an amazing feature: a swimming pool! The home’s 1903 austere, yet rich interior has been appropriately preserved: exposed rafters in the living room, a mix of double-hung and transom windows , and built-in bathroom dressers. 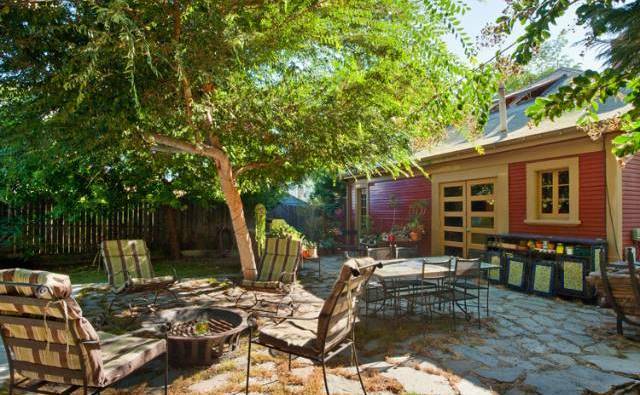 The hipped roof on the 2nd floor is a wood-paneled home gym, while the Craftsman kitchen would please any Eastside chef. 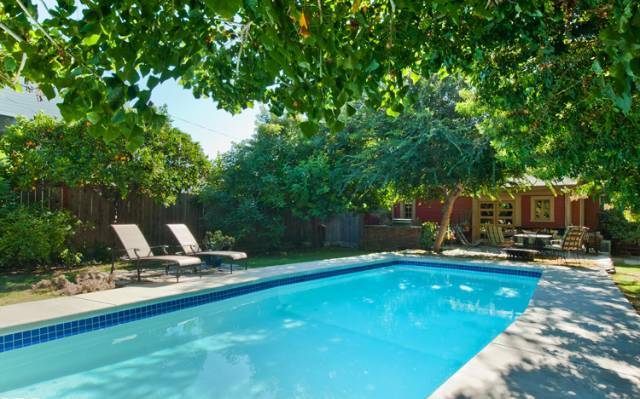 The home’s real appeal, however, is its 7,500 square foot lot — complete with fruit trees, an outdoor grill encased in brick, a fire pit ideal for entertaining, and a pool fit for those who fancy a private non-Echo Deep dip. For those wary of the home’s year built, it has updated features: copper plumbing, a tankless water heater, a re-built fireplace and foundation. Priced at $675,000. 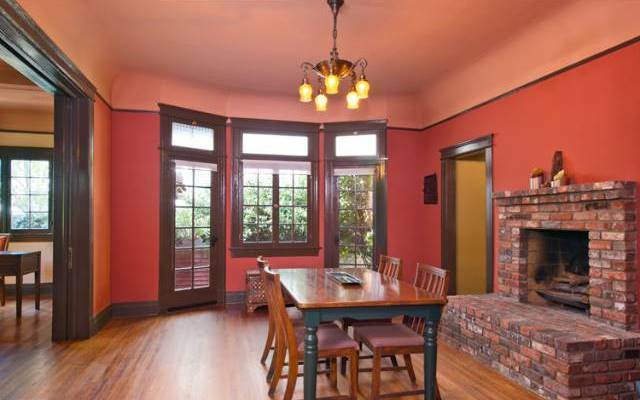 For additional information on this Echo Park home and others, contact Jovelle at (213) 718-1110. 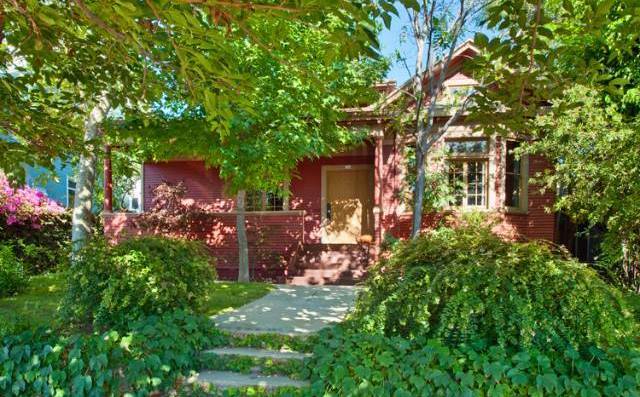 Carol Stewart of Sotheby’s Los Feliz has the listing.